Looking at the share prices for fuel cell companies that are being traded on the stock exchange right now, one could be forgiven for thinking that a crash had just taken place. 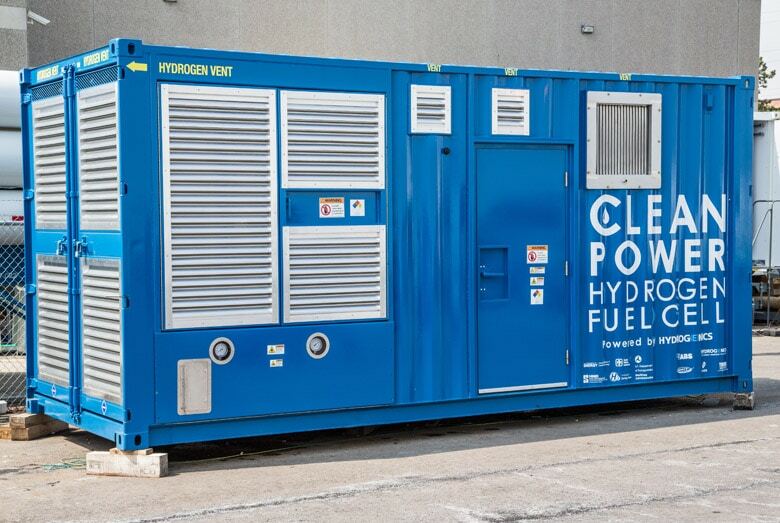 It is as if the technical breakthroughs in the further development of the fuel cells had never taken place, and as though the production, storage and use of hydrogen had zero chance of achieving any success. Yet in fact, the opposite is the case. Right now we are at the start of a new mega trend, and in 2015, many FC products are market-ready. It has been possible for a wide range of long standing test series to be completed to great success, and following the servicing of the test markets, the focus now is on their widespread use for the generation of clean energy (heat & electricity) worldwide. As with every new trend, there have been some big initial reservations – as shown by the persistently insufficient geographical coverage on hydrogen filling stations, for example. Toyota has refused to be put off by any of this, however, as “the journey is its own reward”, and has forecast that the more vehicles powered by hydrogen there are on the market, including FC hybrids, the more H2-filling stations there will be. And the FC car is exactly what will dispel the “imaginary” fears surrounding hydrogen. The fact that the share prices of the FC companies presented here are so low is also due to the low price of oil, which has naturally had an impact on alternative methods of propulsion, at least on the psychological level, even if no direct link is evident. The companies monitored here have healthy financials (debt-free/few debts/high liquidity), key know-how (IP/patents), long standing experience, high order balances and strong partnerships and collaborations. In short: crisis – what crisis? It is more of a productive state of affairs. Those prepared to wait should be able to earn some high yields here if the market – with rising prices – begins to recognize and/or take the actual potential and prospects into account. And then the falls in prices will be a thing of the past and commitment will eventually lead to profit – but it will take time. With more than 60 years of experience, Hydrogenics is one of the pioneers in this technology, which uses electrolyzers to split water up into H2 and O2. It also manufactures the highest performing equipment (throughput). Boston Consulting has forecast that by the year 2030, over 150 bn. Euros will be invested in large scale industrial storage systems such as electrolyzers – and only approx. 70 bn. Euros in battery technology. Hydrogenics is now on the same level as Siemens, which primarily uses PEM electrolysis (among others, for power-to-gas systems). On this basis, regenerative electricity (wind and solar) can go into rapid use as a storage medium for the transformation into H2, and can then be fed into the gas grid through the addition of CO2 (methanization). Its share price is very low – like all of the other prices in the sector. Its figures for the most recent quarter were not good (recording a loss) despite considerable quarterly changes (billing of orders). One should consider the share to be an FC admixture, since if the fuel cell is discovered, all of the companies which are viewed as being technological leaders will become the focus of the stock exchange. The companies’ financials will then move into the background, with high growth taking them to the profit zone. This analysis was written in September 2015 by Sven Joesting.